Angelwax Superior Automotive Shampoo has been formulated specifically to be the purest shampoo product you can purchase for your vehicle and has been manufactured using only the finest raw materials making this shampoo about as pure a shampoo as you can get! There are many so-called ‘shampoos’ out there however, these resemble and have all the characteristics of detergents rather than shampoos. Angelwax Superior Automotive Shampoo is a thick, slow pouring, highly concentrated vehicle bodywork shampoo designed to leave your vehicle beautifully cleansed and streak free. Just a small amount is required to produce a rich lather making this super concentrated product the ultimate detailing shampoo. With a neutral pH of 7, Superior Automotive Shampoo is a completely wax safe product and extremely gentle on skin as well as all types of paintwork! Angelwax Superior Automotive Shampoo has been rigorously tested in our laboratory and by the best detailers in the business to ensure that we have formulated yet another brilliant product for your vehicle. 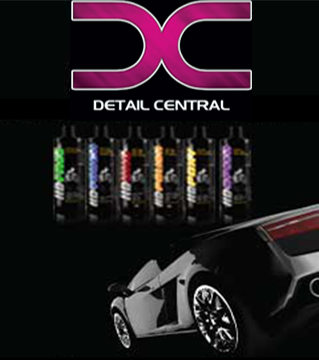 Angelwax Superior Automotive Shampoo is available ready to use in a 500ml bottle. Simply add two or three small capfuls of the shampoo to a bucket and fill with water creating a rich lather. Angelwax Superior Automotive Shampoo can also be applied through the foaming lance of a pressure washer. In a word - fantastic. Cleans well, rinses off easily, and no streaking.